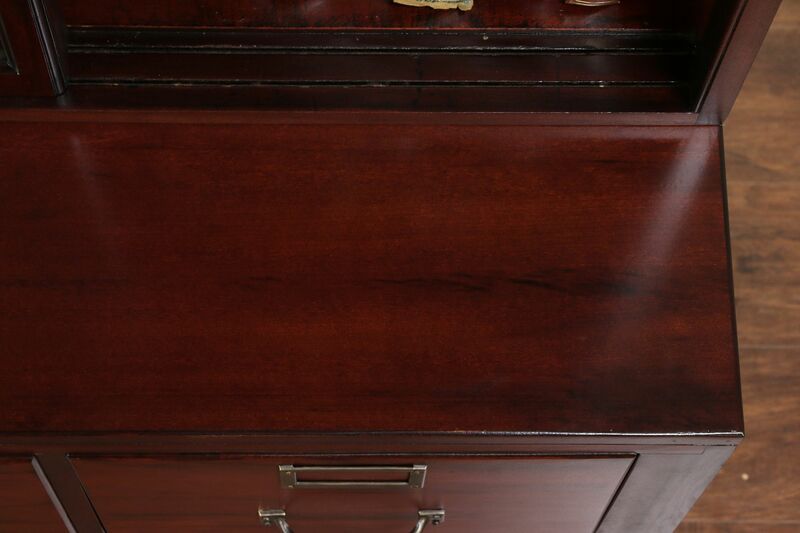 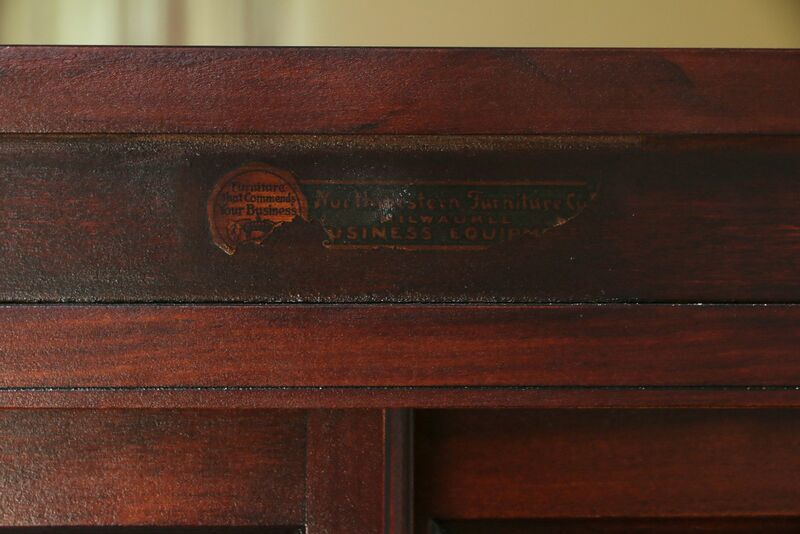 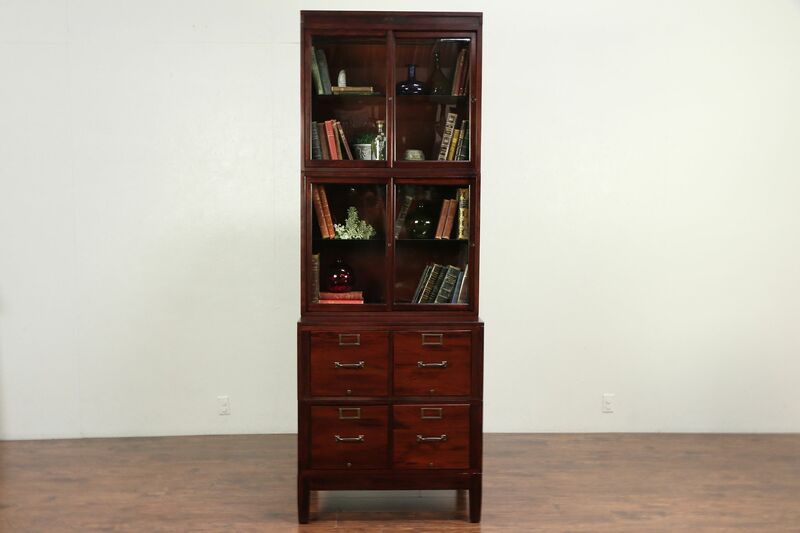 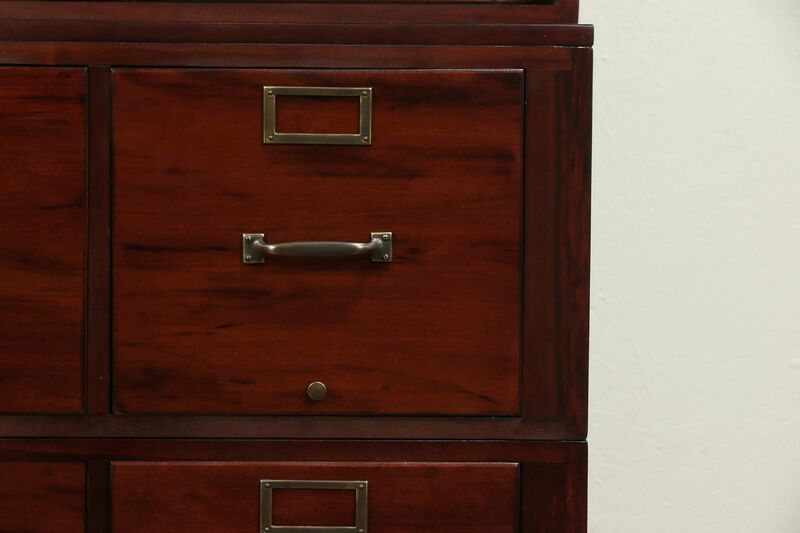 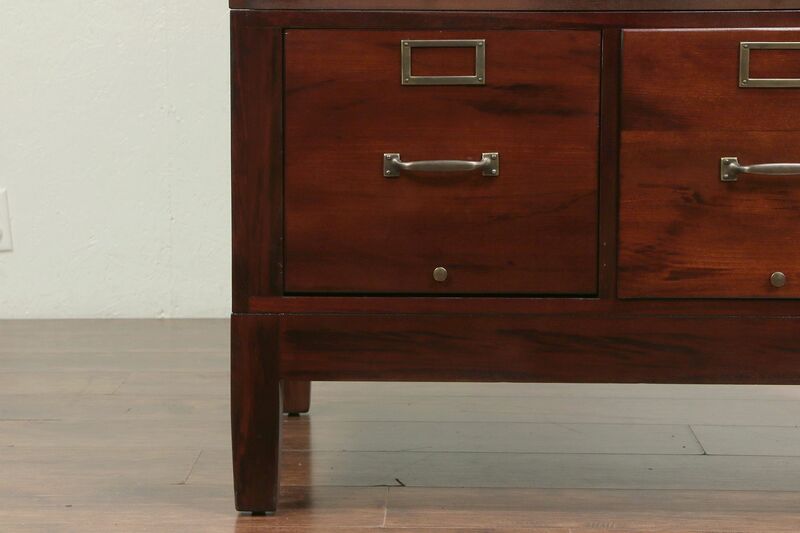 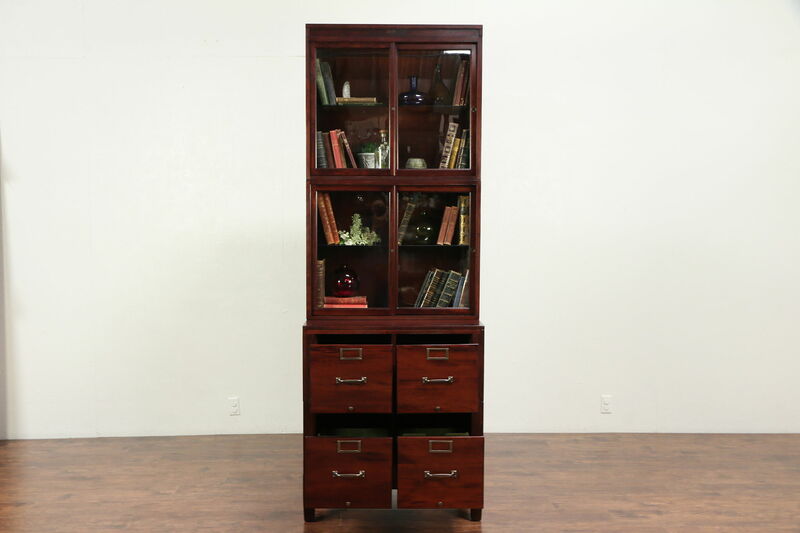 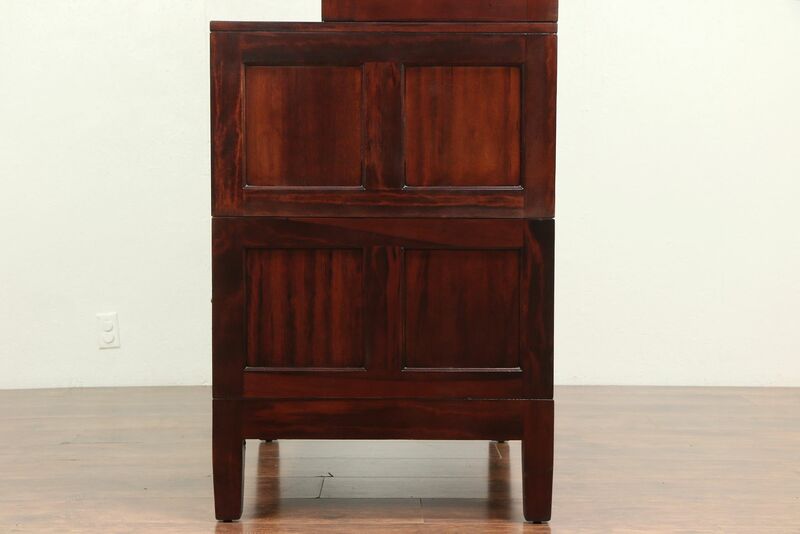 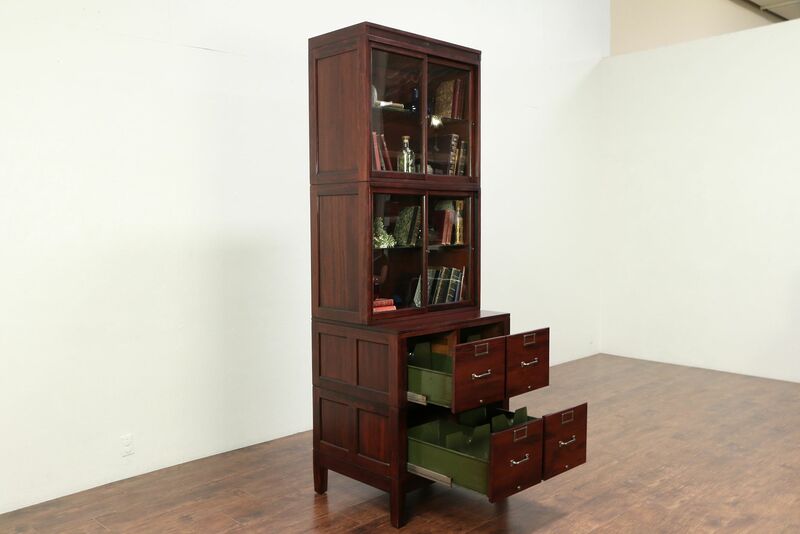 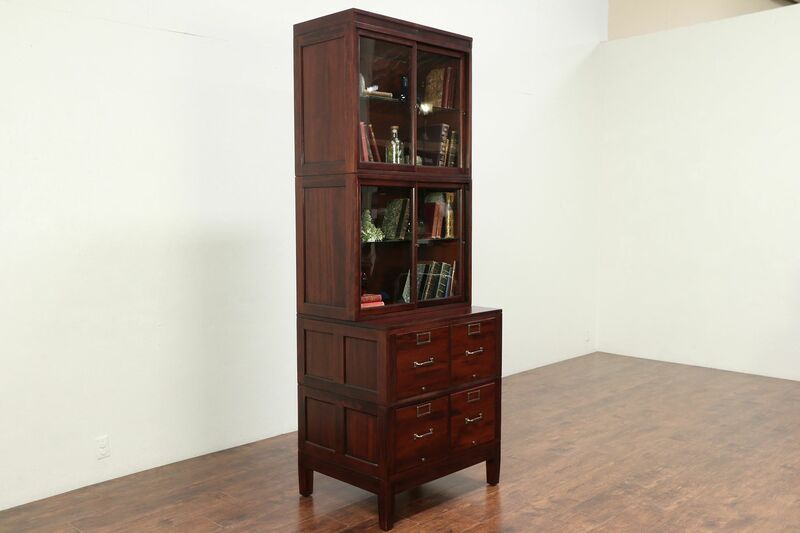 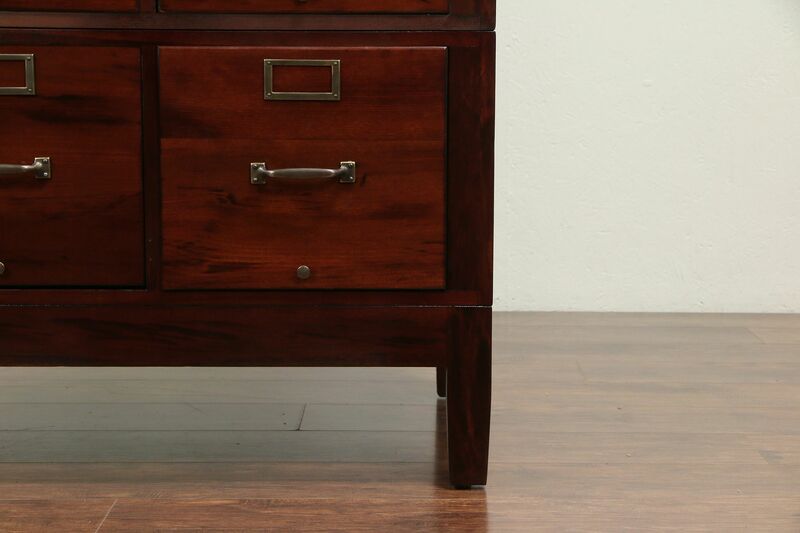 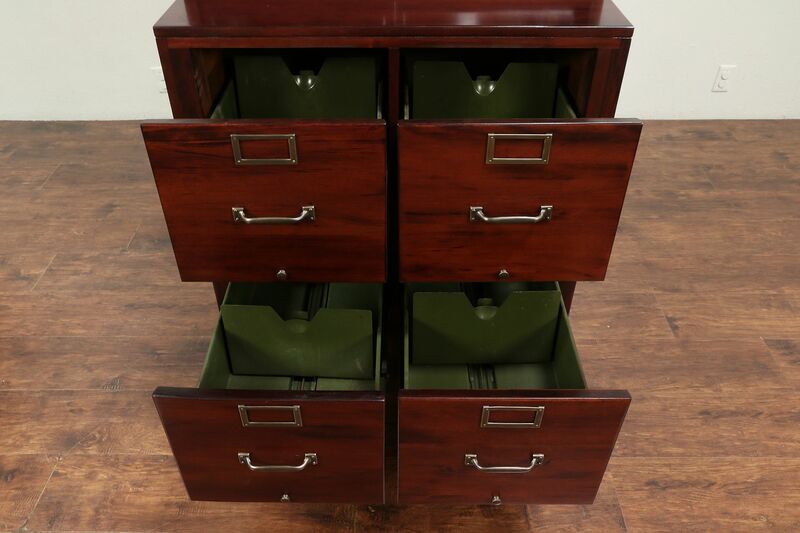 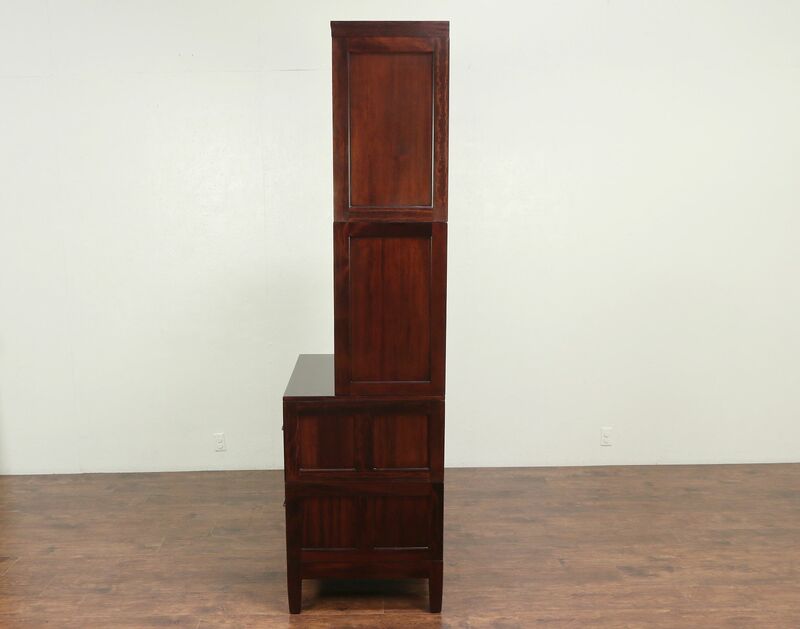 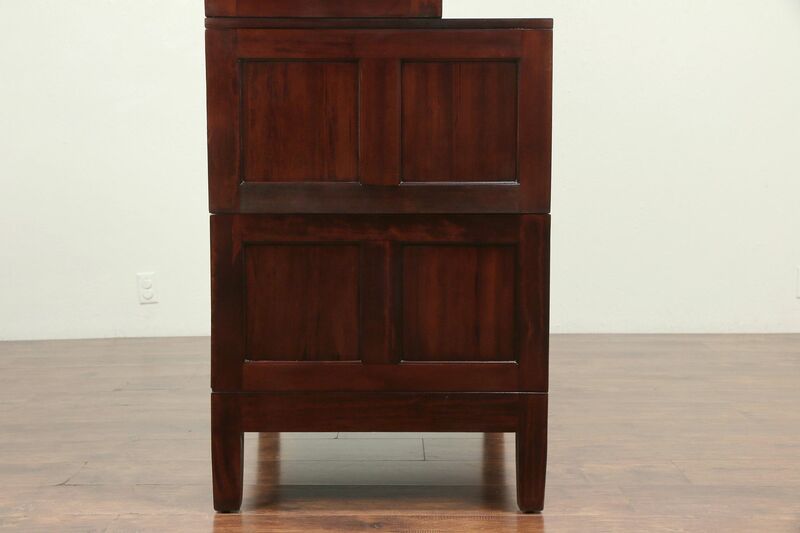 This four drawer stacking file cabinet also has 2 upper sections with sliding glass doors, signed "Northwestern Furniture, Milwaukee" and dating from about 1915. 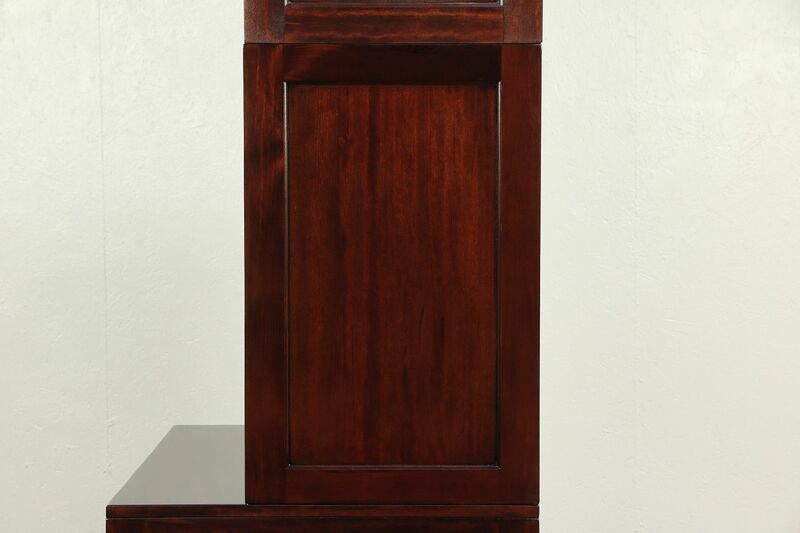 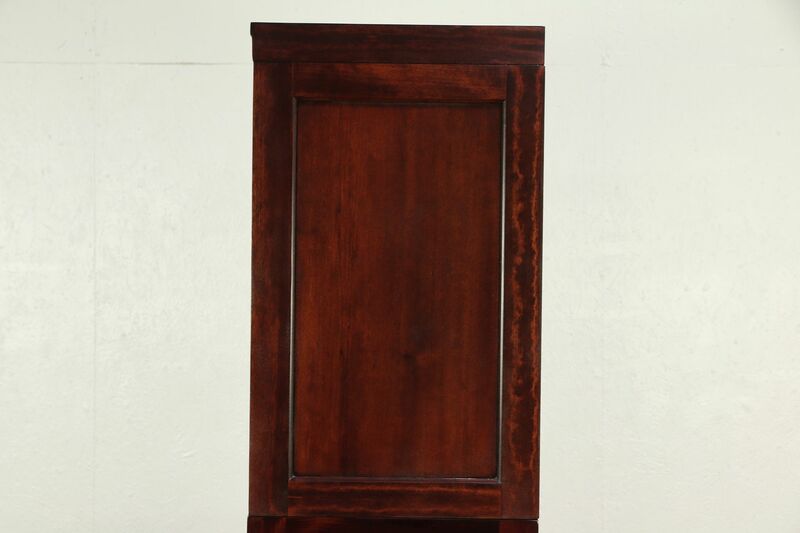 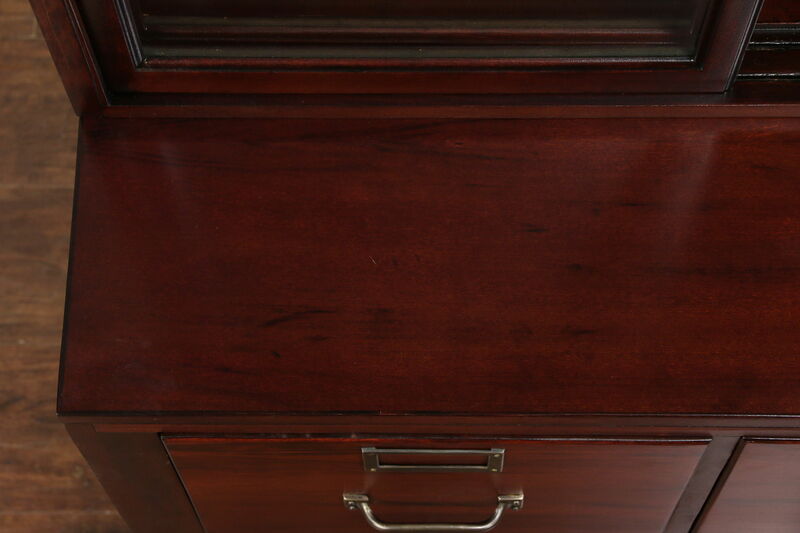 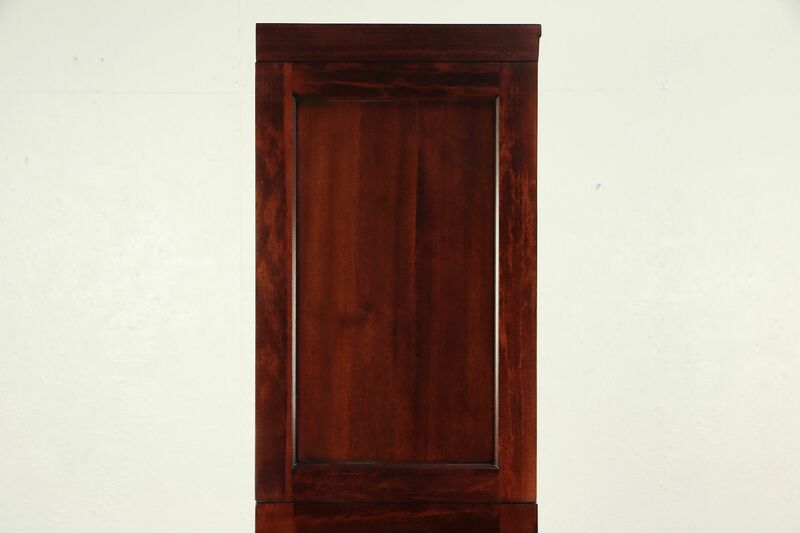 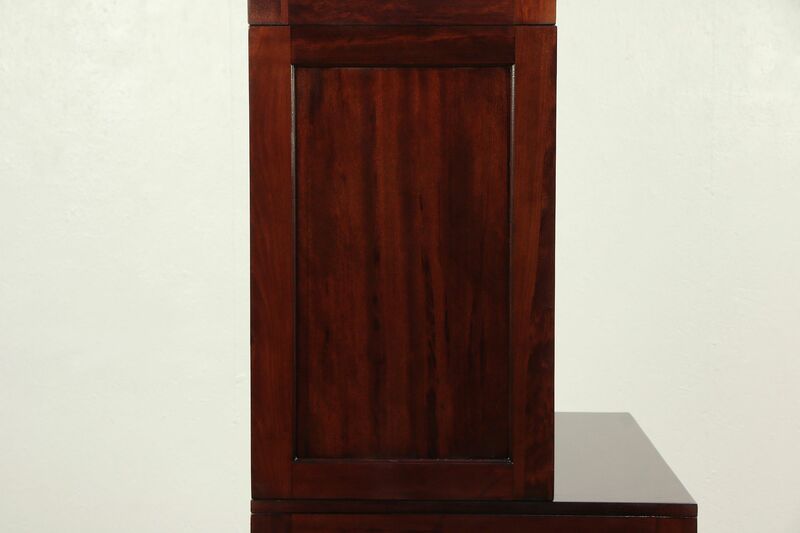 The restored deep finish is in excellent condition on birch and mahogany. 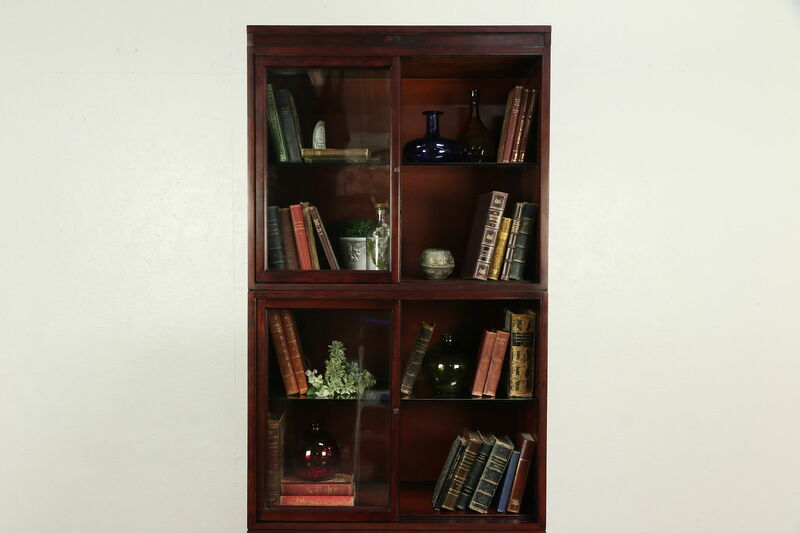 Upper glass shelves are adjustable and doors have old wavy glass. 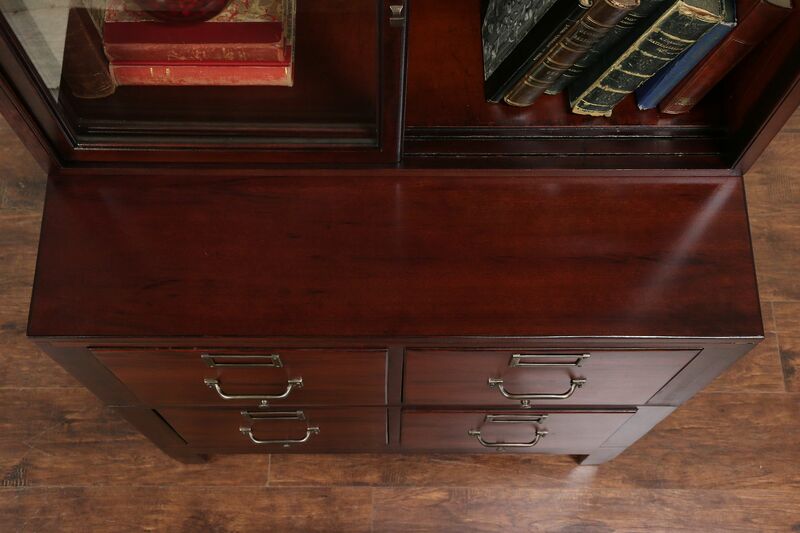 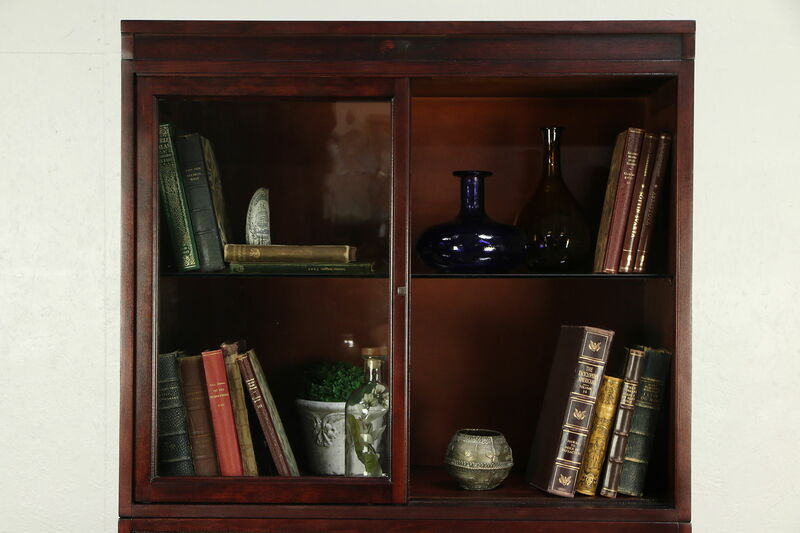 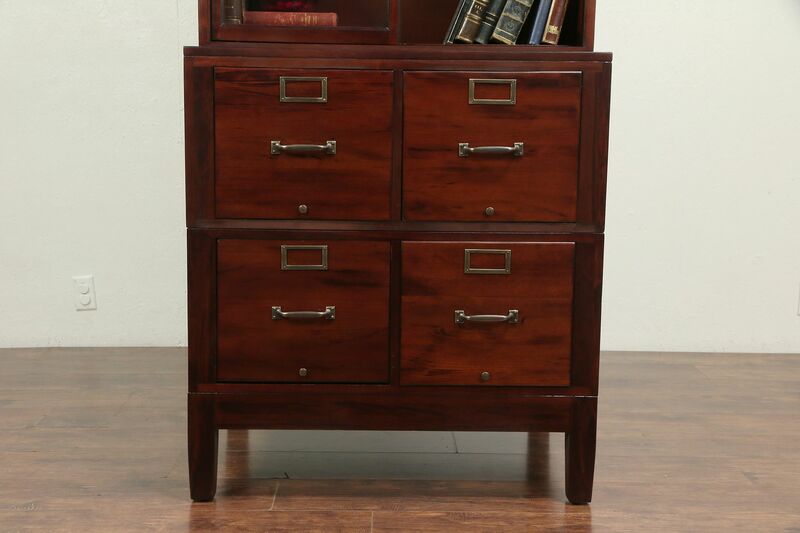 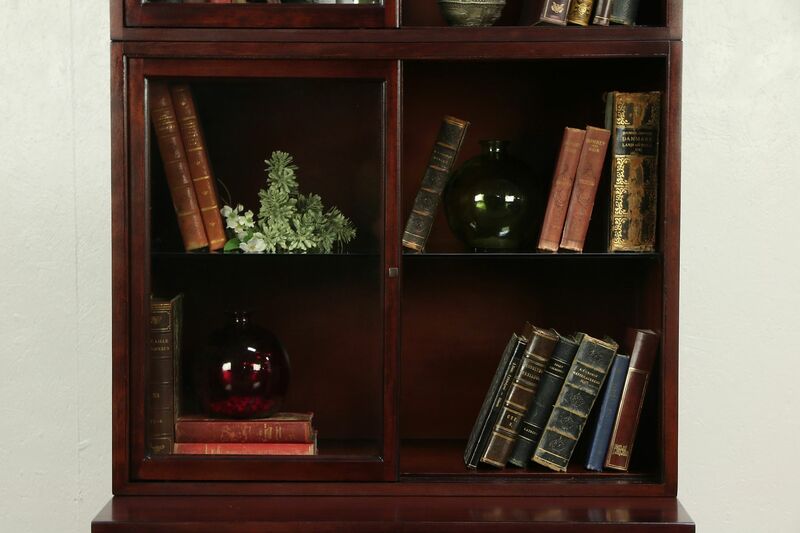 Brass pulls and label holders are original on this American made antique library or office furniture. 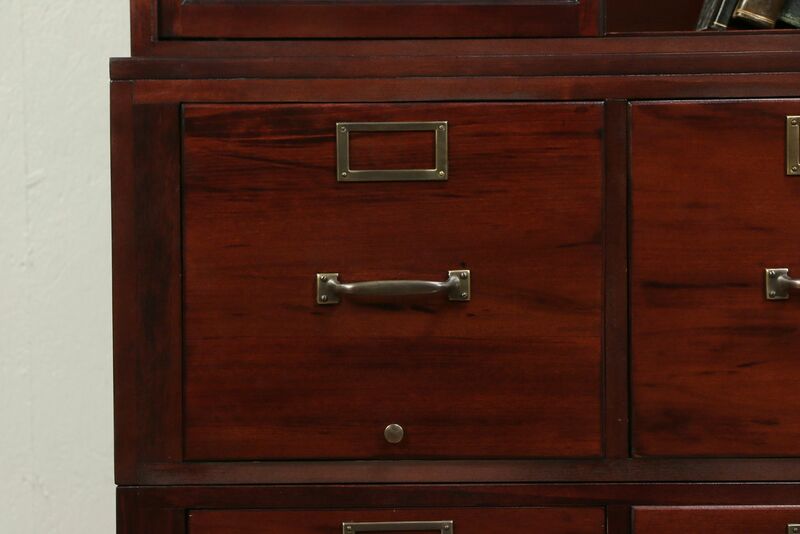 Standard size file drawers have adjustable pushers. 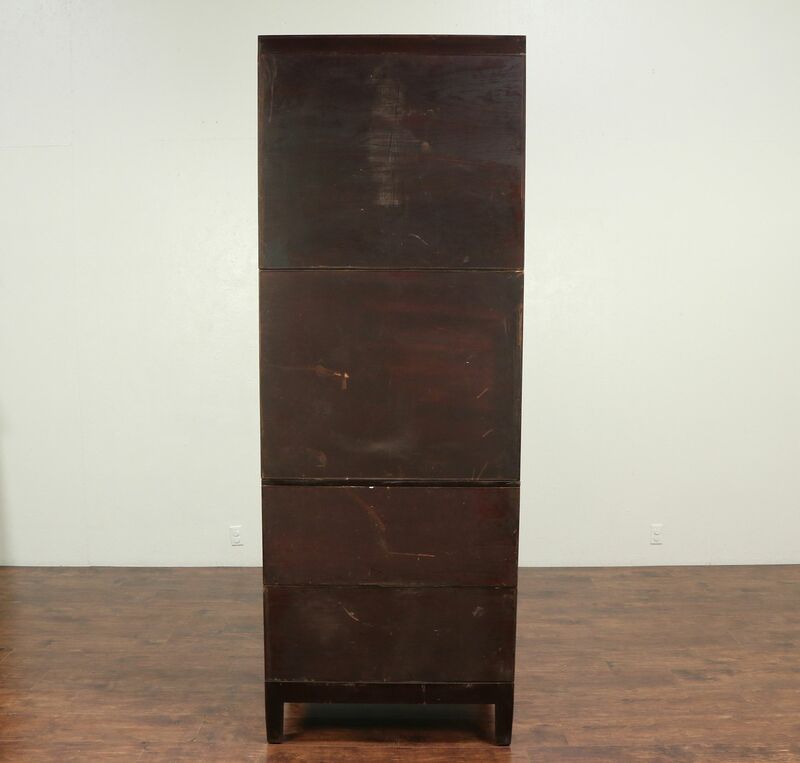 Overall size is 37" wide, 25" deep and 92" tall.